The University of Connecticut is a top public research institution, with specialized equipment for a variety of academic disciplines to support the University’s researchers. In some cases, the devices and prototypes that UConn researchers need to conduct their cutting-edge projects don’t even exist. Other times commercially available equipment needs complex or expensive repairs to keep running at peak performance. 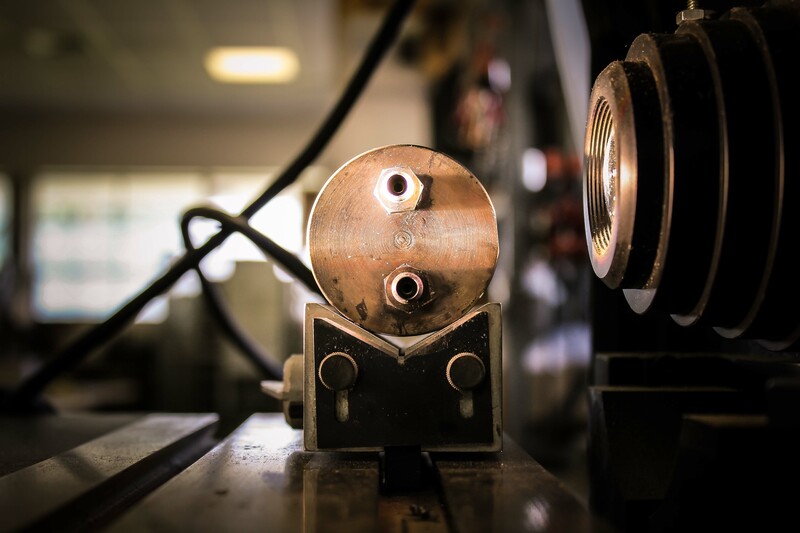 UConn’s answer to the call for an affordable way to design, manufacture, and repair equipment is the Mechanical/Glass: Design and Fabrication facility, operated by the Center for Open Research Resources and Equipment, also known as COR²E. The Mechanical/Glass: Design and Fabrication facility provides consulting, manufacturing, design, engineering, and repair services for glass, metal, plastics, and other materials. It is particularly critical for researchers, many of whom rely on the facility to keep their research moving forward. Before coming to UConn in 2007, facility director Mark Drobney had an extensive background in the manufacturing industry. Now, he utilizes his expertise to advise researchers of the best course of action regarding their equipment. The Mechanical facility has a fully equipped manufacturing department that includes CNC and manual lathes and milling machines, a 4’ x 8’ CNC router, vertical and horizontal band saws, manual and hydraulic material shears and presses. The facility also boasts carpentry, sheet metal and welding departments to fulfill the diverse needs of their current and future customers.